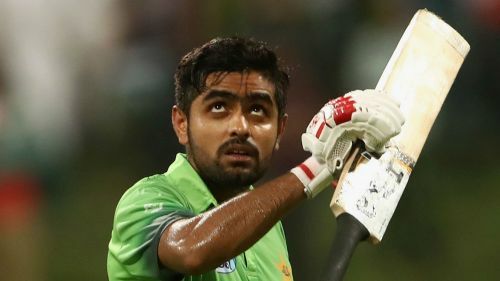 Babar Azam became the joint second-fastest man to 2,000 one-day international runs as Pakistan thrashed Hong Kong by eight wickets in their Asia Cup opener in Dubai on Sunday. The batsman contributed 33 as Pakistan made light work of a victory target of 117, bringing up his milestone from just 45 innings. That moves him level with compatriot Zaheer Abbas, while only South Africa's Hashim Amla (40) has reached the landmark from fewer knocks. It was a harsh introduction to this year's tournament for Hong Kong, who elected to bat upon winning the toss but were swiftly dismissed for just 116 inside 38 overs. Aizaz Khan's 27 proved the top score for the associate nation, who had little answer to Usman Khan (3-19) and Hasan Ali (2-19). In reply, Pakistan lost Fakhar Zaman (24), before Babar and Imam-ul-Haq put on 52 for the second wicket, their union ending when the former was caught behind off Ehsan Khan (2-34). That left Shoaib Malik and Imam, who finished unbeaten on 50 from 69 balls, to steer their side home with more than half of their allocation remaining. Pakistan's second Group A encounter, against fierce rivals and defending champions India on Wednesday, promises to be a far sterner test.